Great review on this book. Makes me want to read it. 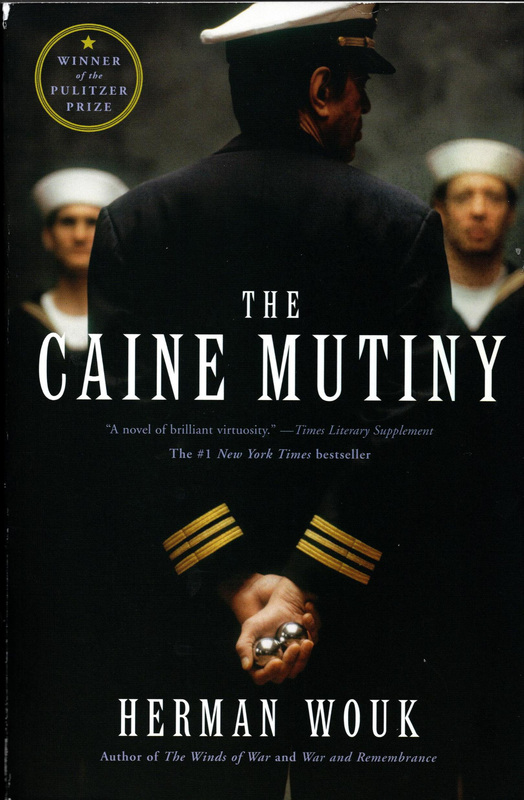 Loved the Caine Mutiny review, like Beth above it makes me want to read it (or maybe see the movie!). Also enjoyed learning about how you came by the word Switchel as the name of your blogs. I’ve never had so much as a swig of switchel but I can imagine how it must have hit the spot when working in the hayfield! Sounds a little like Gatorade ahead of its time. And also happy to see that the Putnam Farm is still in the family, operated by your brother Bill I believe. I enjoy your blogs, George! I watched the 1954 movie for the first time last night. It is entertaining, with a fine performance by Humphrey Bogart as Captain Queeg, but it contains few of the life lessons in the book. A book can be so much more expansive than a two hour movie. Early in the book, Willie Keith is significantly affected by the unexpected death of his father. Late in the book, the kamikaze attack with two deaths resulting has an even more profound effect on Willie. Neither event occurs in the movie. There is no death in the movie. We cannot understand life without contemplating death. On a more upbeat note, the interlocking relationships between Willie, his mother, and May Wynn, as they evolve over three years, are much, much more complex, subtle, and interesting in the book. The movie ends almost immediately after the court-martial, in the middle of the war. The book continues until several months after the end of the war. Willie Keith did a lot of growing up in the time that is missing from the movie. The movie contains none of the leadership lessons in the book. Bottom line: Read the book.